After months of debate surrounding the value of government savings versus the importance of social welfare, California lawmakers have approved a $122.5 billion spending plan for the state’s next budget cycle. As The Sacramento Bee reported, several aspects of the budget will still have to go before California voters to approve during the general election in November. Initiatives that will be put before voters include whether to levy higher taxes on residents in higher income brackets, increase the cigarette tax and borrow funds to renovate or build more public schools. In terms of spending completely controlled by the legislature, Gov. Jerry Brown has spent the last several months advocating for reduced state expenditures amid signs the California economy may be entering a new recession. While Brown has proposed increasing the state’s rainy day fund for several years, his recent economic projections have been more dire. As The Los Angeles Times reported last month, the governor slashed his own proposed budget after the state’s tax revenue projections came in lower than expected. The state’s finalized budget proposal repeals a previously passed cap on welfare programs spending and increases funding for both the state’s rainy day fund and higher education. The plan also calls for borrowing $2 billion against revenue to improve mental health services, including building housing for people with mental illness. Affordable housing programs run by local governments will also see additional state aid under the finalized proposal. According to ABC News, the budget will also increase wages for people who provide subsidized child care, allowing that coverage to expand to nearly 9,000 additional children. Brown also repealed a provision in the state’s welfare program that prohibited additional state aid for children conceived while a parent is on welfare. This change is projected to cost the state an extra $100 million in the first year, though the cost will be shifted to a special account created for this purpose later, with no impact on the general fund. While many lawmakers praised the budget for its focus on welfare initiatives, others raised concerns that many other pressing matters were left unaddressed. Assemblyman James Gallagher told ABC News no additional funds had been allocated to public transportation or infrastructure management, which Gallagher called a “glaring omission.” Infrastructure updates had previously been identified as a state priority but lawmakers failed to reach a spending agreement on this item. 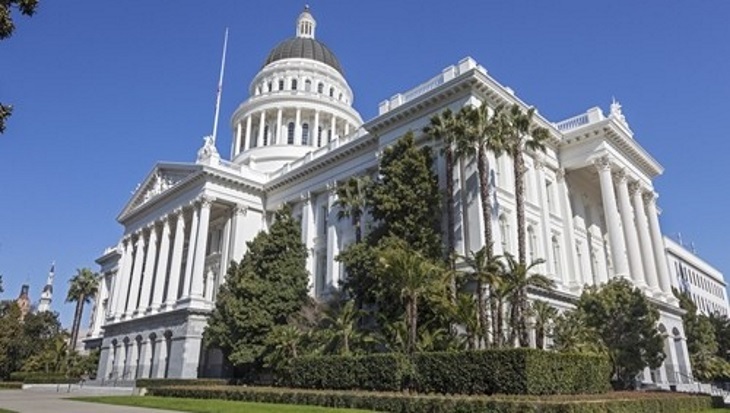 Fiscally conservative legislators also said the finalized budget did not do enough to address Brown’s concerns over the slowing pace of California’s economy. “The governor himself has said that (in) four more years, we could be faced with a $4 billion budget in the red,” Sen. Jim Nielsen told reporters. State governments working to balance fiscal responsibility with social aid spending face difficult decisions. While what the future holds for the state’s economy will always hold a degree of uncertainty, advanced financial planning tools can aid in forecasting economic outlooks with greater confidence. Comprehensive budgeting tools can also be used to explore spending and saving options in depth, as lawmakers look to decide on the best solution considering all state objectives. With Questica’s comprehensive public sector budgeting platform, states have access to a highly organized, streamlined system that allows for real-time data to be readily shared and analyzed. With Questica, lawmakers and state agencies can forecast their operating budgets over an unlimited number of years while tracking expenses such as salary increases or funding for transportation, infrastructure or welfare programs. Questica provides public sector entities with highly detailed insight for long-term financial planning. Governments considering increasing spending for desired initiatives while also hoping to shore up rainy day funds should contact Questica to learn how budgeting software can lead to improved insight in budgetary decision making.